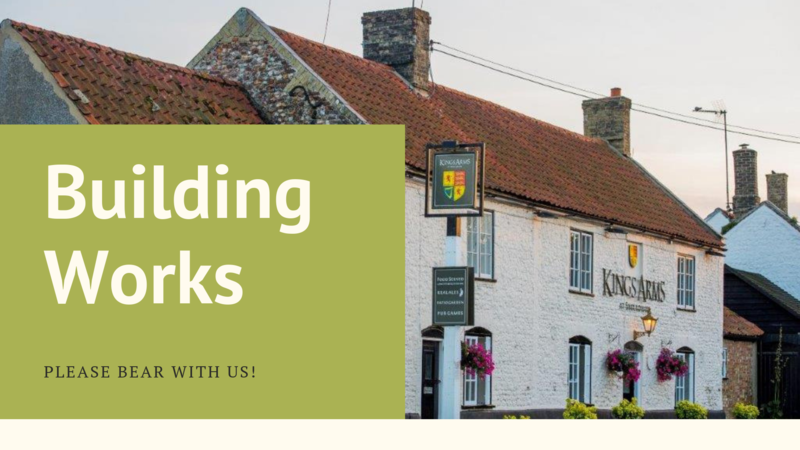 Phase 2 of The King’s Arms refurbishment involving modernising and expanding the kitchen and provision of a toilet with disabled access starts on Monday 11th February. 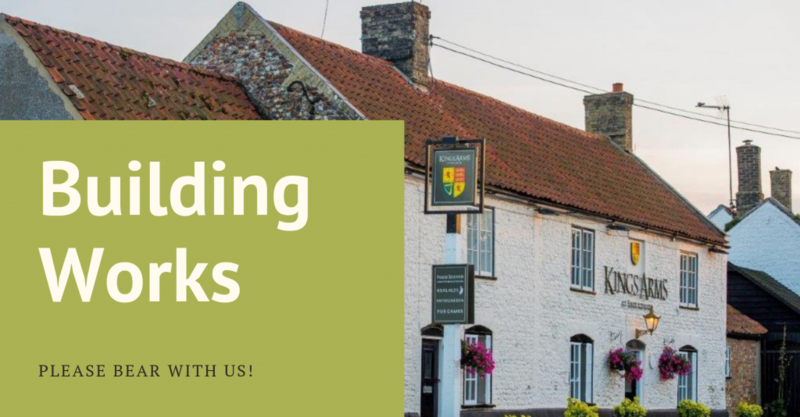 We will attempt to keep any disruption to a minimum, but there will unfortunately be some temporary reduction in car parking during this period and we apologise for any inconvenience caused. Thank you for your continued support and patience during this period. 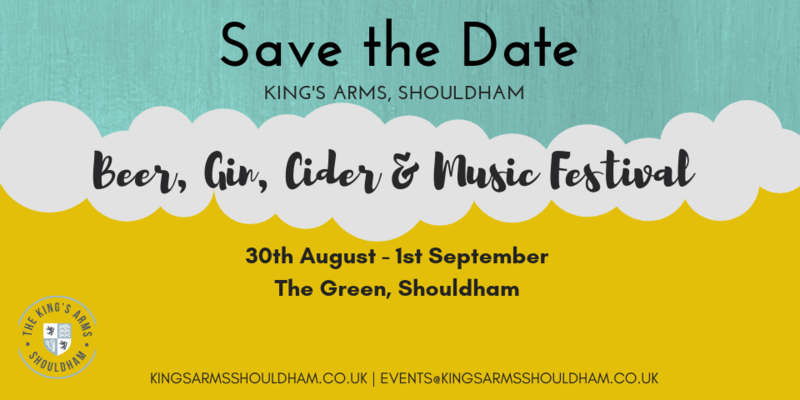 Get the date in your diary for our annual beer, cider, gin and music festival. Friday 30th August – 1st September 2019. 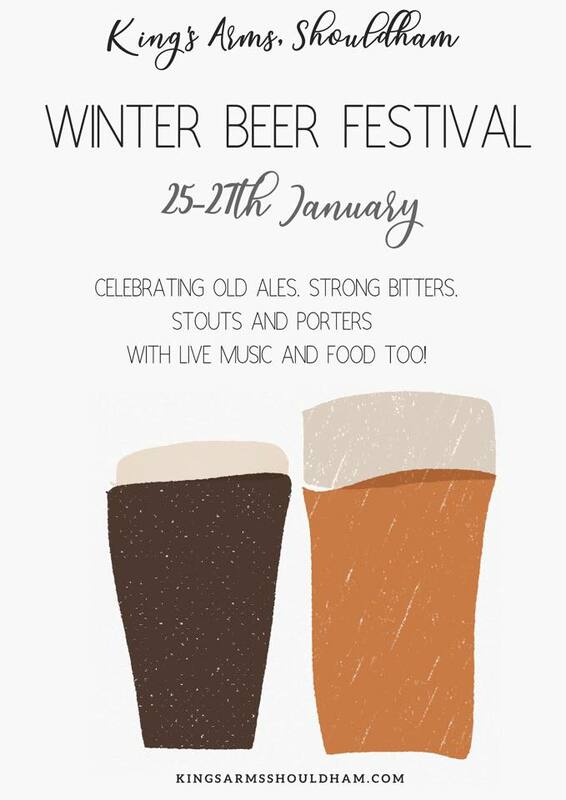 Good news, our (indoor) winter beer festival returns on 25/26th January, celebrating milds, porters, stouts and strong ales! 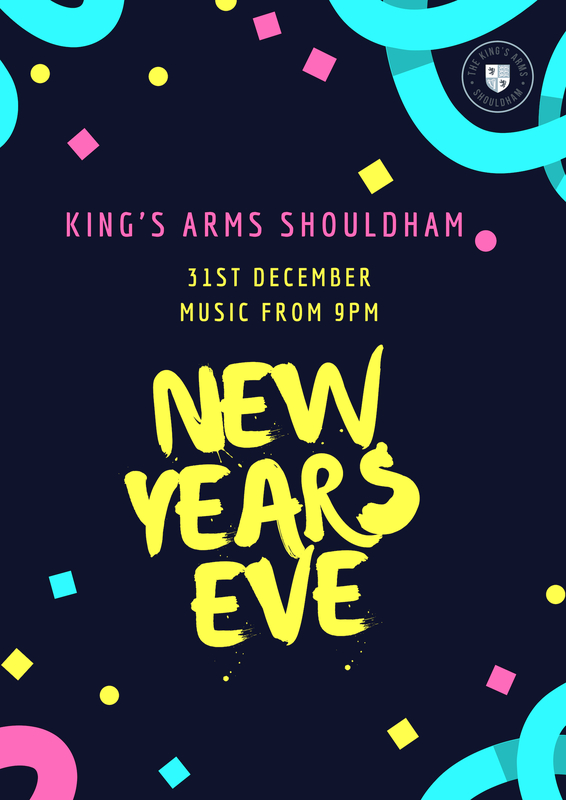 Say goodbye to 2018 and hello to 2019 with us! Live music from 9pm, bring your dancing shoes and your best dance moves! 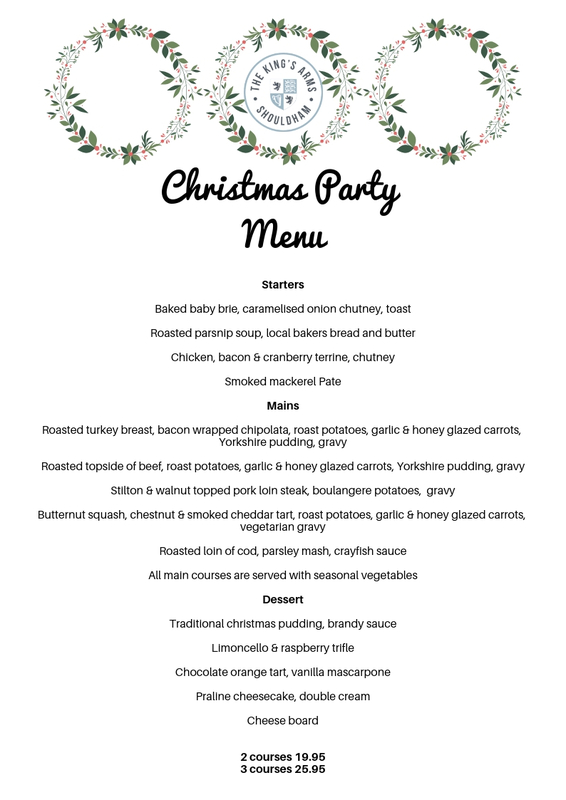 Coming to see us over Christmas? 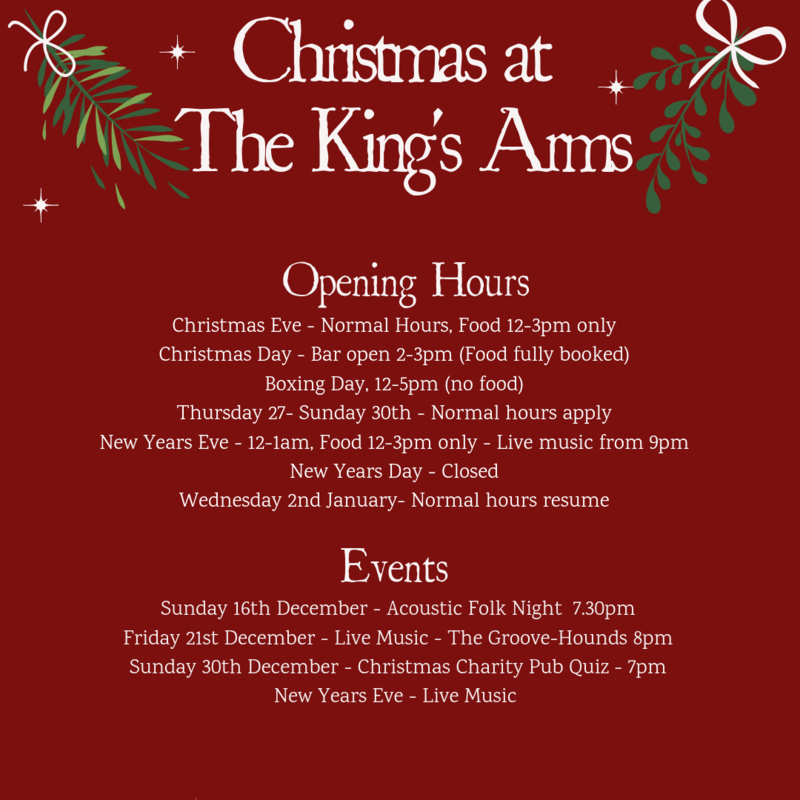 take a look below for a handy list of our opening hours! 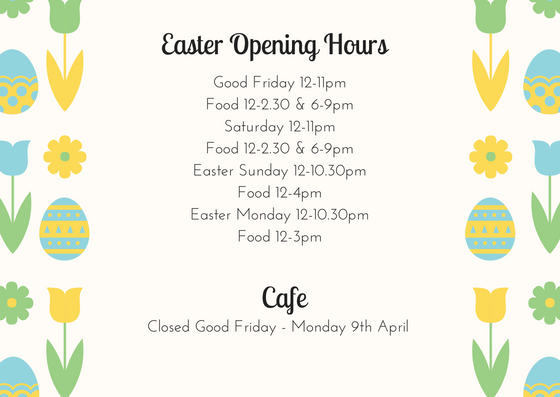 Easter will soon be here, are you coming to see us? 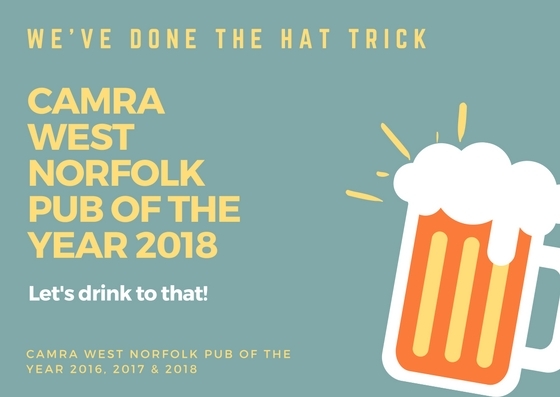 Celebrating Strong bitters, rubys, porters, milds, stouts and more, our indoor winter festival is much smaller than our summer festival and takes place inside the pub. It may be smaller, but, it’s equally matched when it comes to delicious beer!